The ALI CERTIFIED Atlas® Apex-10H is the taller version of the Atlas® Apex 10 . 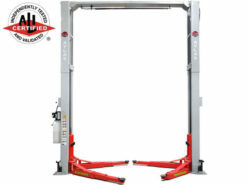 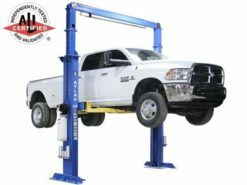 The overhead beam (that connects the two columns) is positioned two feet higher than the overhead beam on the Atlas® Apex 10. 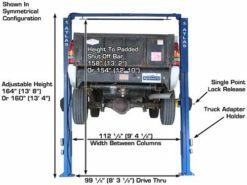 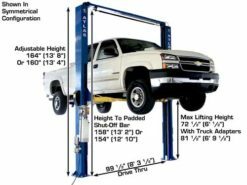 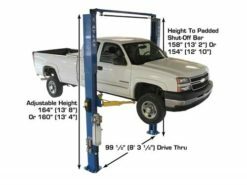 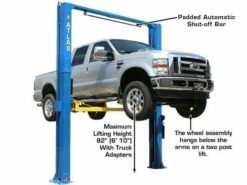 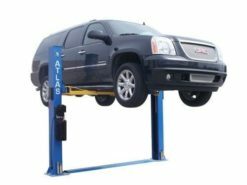 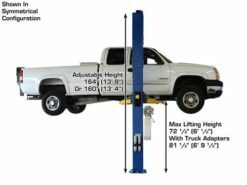 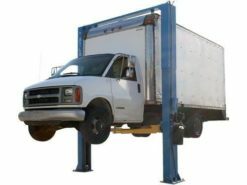 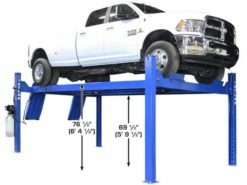 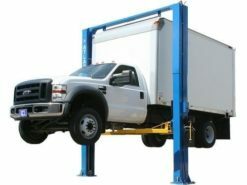 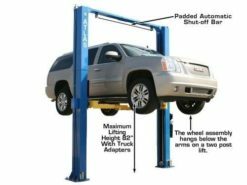 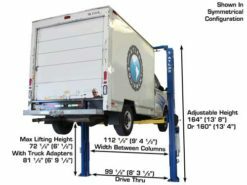 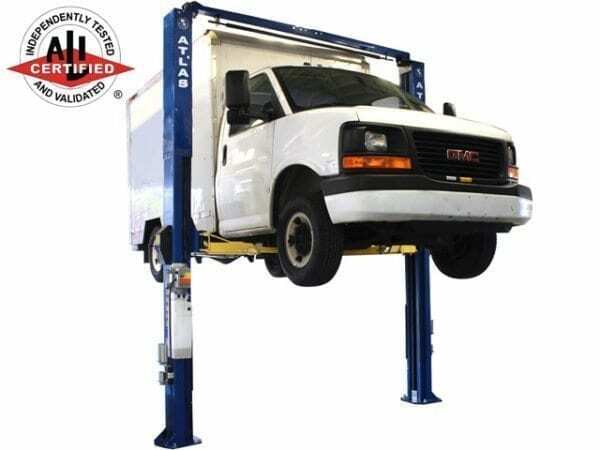 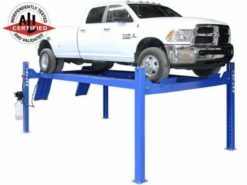 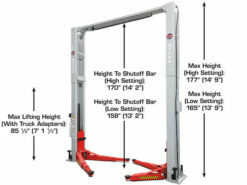 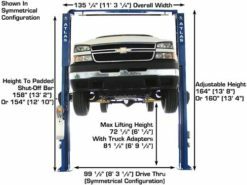 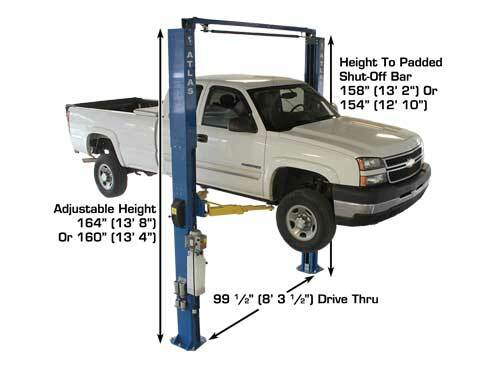 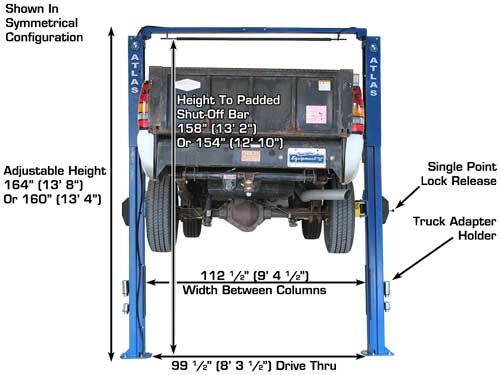 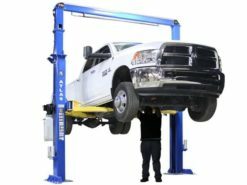 The taller position of the overhead beam allows the Atlas® Apex-10H above ground hoist to lift taller vehicles such as ladder rack trucks and cargo vans. 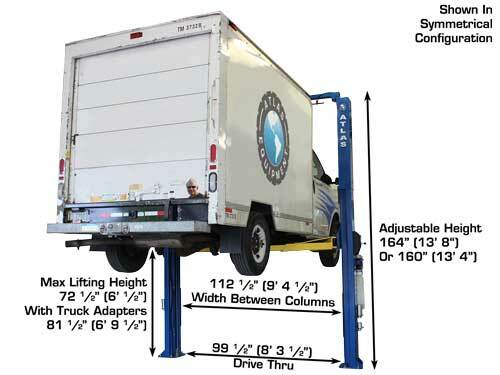 Column design incorporates special Double S bends to increase column strength. 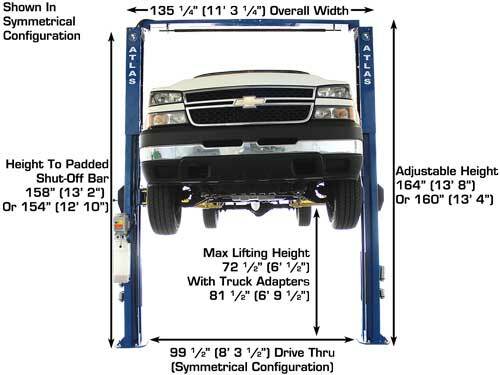 Capacity 10,000 LB. 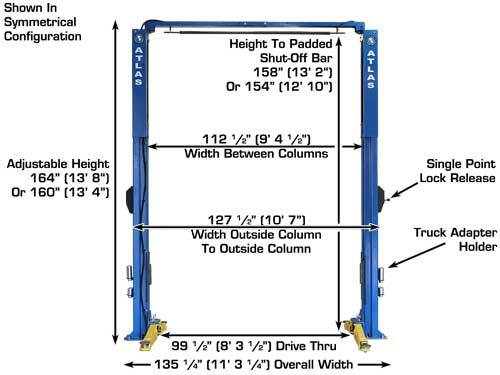 10,000 LB. 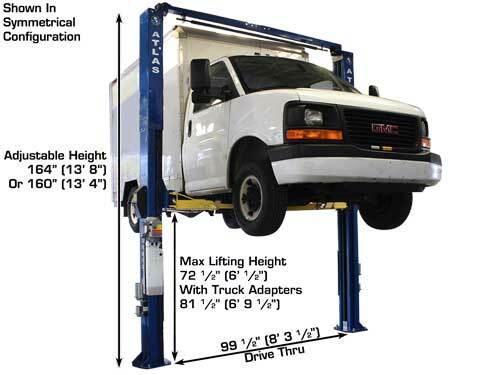 *See manual for installing spacers for lower height. 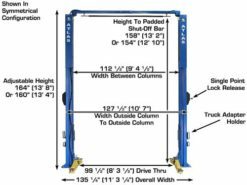 *Overall height with cylinder remains the same.